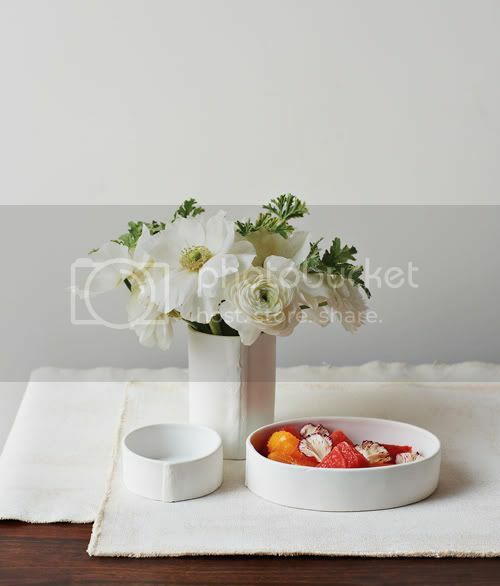 West Elm contacted me last week with their latest offerings for spring (wowie zowie, so pretty!) but I've been a bit behind this month since I'm also teaching a huge class online so I'm reviewing this a bit late (eep!). I know that it's been hopping around blogland already but I feel inspired by it so I'm posting anyway since I'm a huge David Stark fan, I know who isn't, and the David Stark Collection for West Elm is gorgeous! 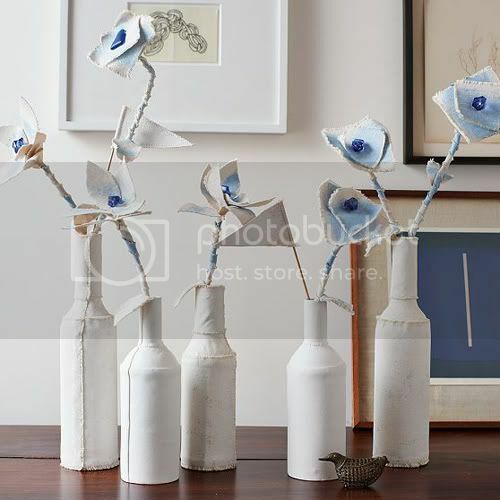 David was inspired by the Mediterranean light and the clear blue sea along with his own roots as a painter -- so he decided to combine raw canvas and gesso to create baskets and bottles wrapped in artist's canvas and porcelain soup cans that can be used as vases. 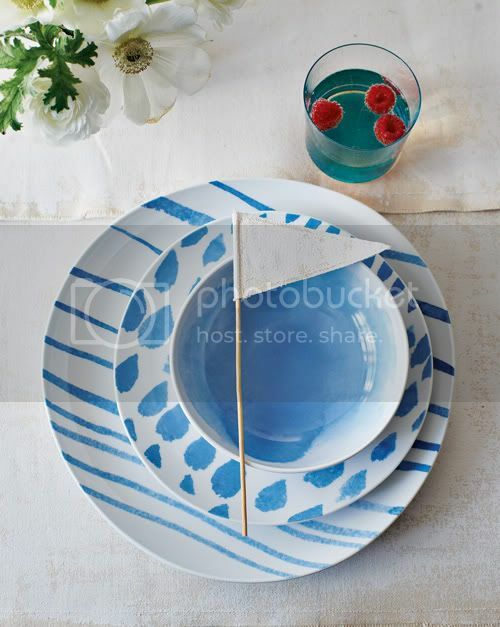 I love his dinnerware splashed with gorgeous blue tones with that painterly vibe to them -- it's a treat to see this! 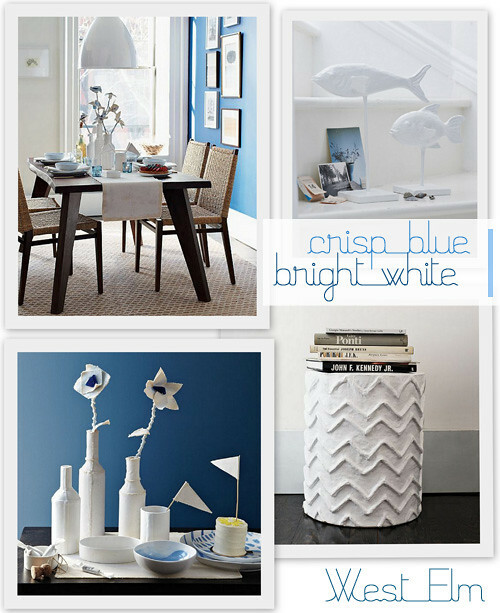 Blue and white is such a great palette for warmer weather, I always feel so invigorated when I view various blues that resemble ocean water, they can range from moody blues to exhilarating blues. 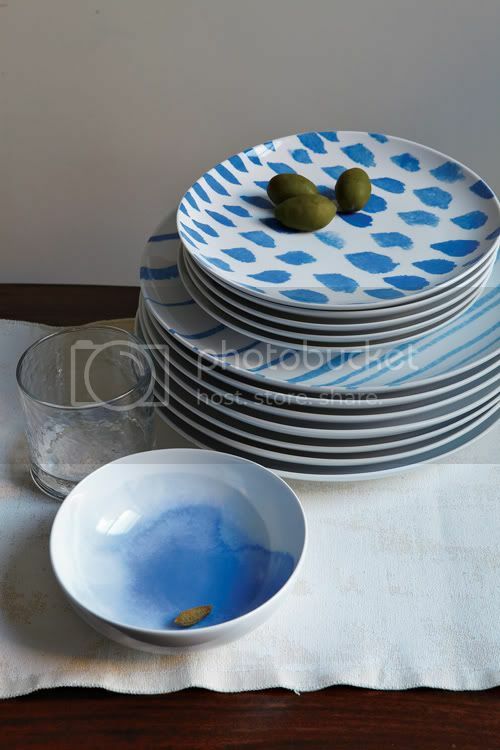 Paired with white along with modern lines and lots of natural texture and the look can suddenly become quite nautical chic with a more high end Greek resort vibe. 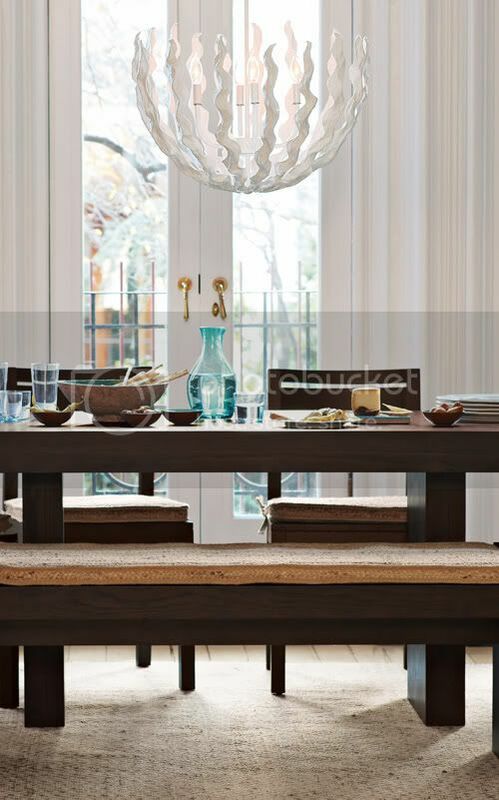 I also like seeing Tennessee-based husband and wife design duo Bill Pritchard and Jane Gray from Stray Dog Designs with a collection at WE as well because I've followed their work since 2006 and love what they are doing with papier-mâché and I think that in the right setting their pendant light is divine and a statement piece. I don't want to gush but by golly gee I love seeing what's coming out of WE lately... how inspiring. And the styling and photography - spot on!